Typically located in the top left or right corner, you can find basic model information for the vehicle, such as the engine and transmission combination, exterior and interior color, as well as the year and trim level of the car. This part lists all the items and features that are included in the manufacturer’s suggested retail price (MSRP). Categories include safety and security, comfort and convenience, and mechanical and performance. If you’re curious about the vehicle’s bumper-to-bumper and powertrain warranties, as well as any roadside assistance package offered by the manufacturer, you’ll find that information in this section. Read this part to learn about the vehicle’s factory-installed options as well as options you can pick and choose. Make sure you discuss with your salesperson how each option can affect the car’s price. In this area, you’ll find the base price, options and fees, the destination charge, and if the vehicle has any gas-guzzler tax. The total price of the vehicle is also sometimes listed here, but it usually occupies its own space. This particular section reveals where the vehicle was assembled, and sometimes includes the percentage of American, Canadian, or other parts it contains. Here, you can find the total MSRP for the vehicle. You don’t necessarily have to pay this price, but it does give you a point of reference during the negotiation. The fuel economy label breaks down the vehicle’s fuel efficiency and helps you to compare the MPG numbers against other cars. Make sure you pay close attention to the combined MPG number, as this is the most important. Scan this pixelated square on the window sticker with your smartphone, and you’ll gain access to the Environmental Protection Agency (EPA) mobile website. From there, you can customize your driving stats to get personalized fuel economy data. Read this section to find safety rating information from the National Highway Traffic Safety Administration (NHTSA) and/or the Insurance Institute for Highway Safety (IIHS). When it comes time to purchase a new Volkswagen model, make your way over to our VW dealership near New Haven and Hamden! As you browse through our lot, you’ll know just what to look out for on each car’s window sticker. 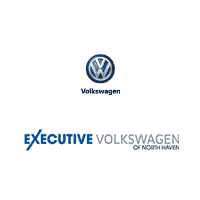 If you have questions about any of our VW models, please don’t hesitate to contact us at (855) 250-6818.